We've been sharing monster crafts and activities all week long for Monster Week as part of our Halloween Move & Create series!! 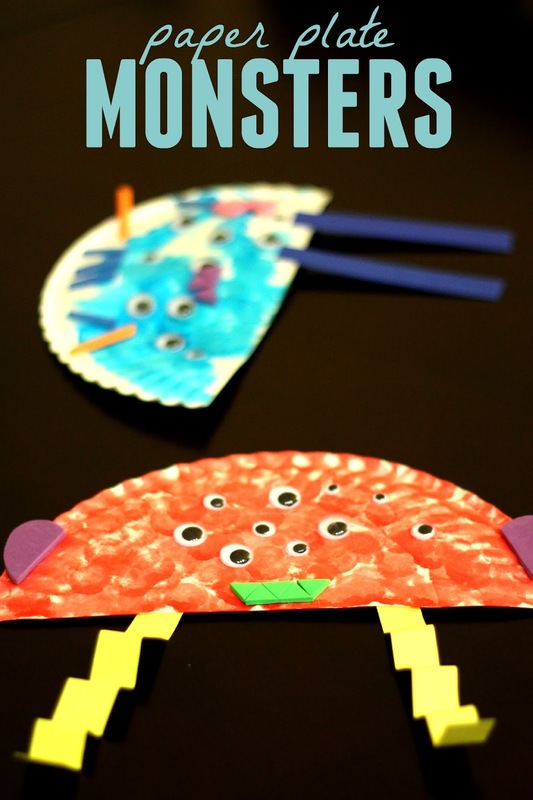 Today we're sharing a super simple paper plate monster craft using our favorite crafty tool- googly eyes! 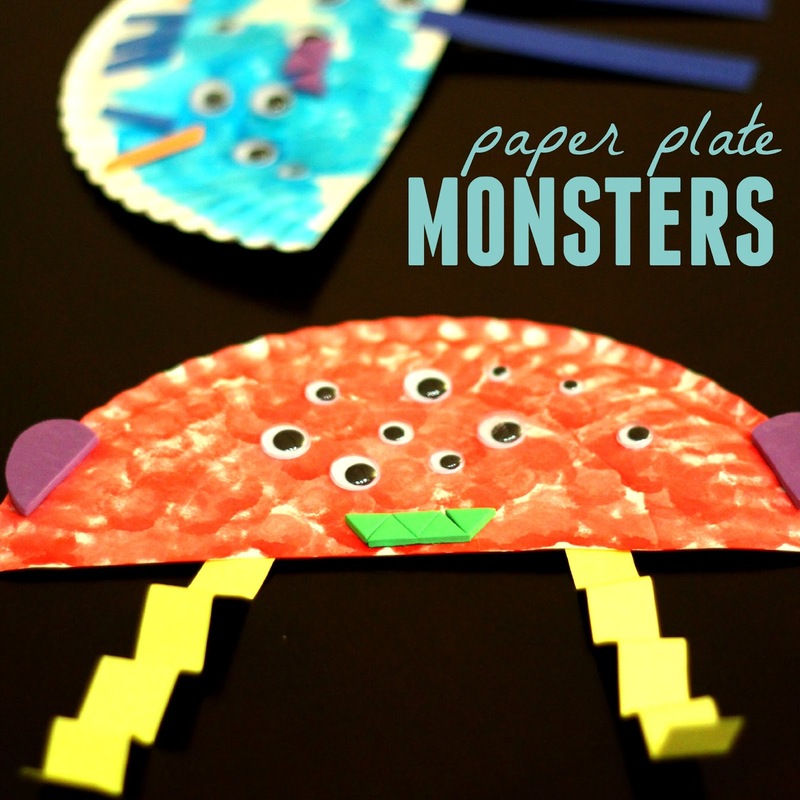 For this version of paper plate monsters we cut the plates in half before we started creating. Next we painted the plates with (affiliate link) dot markers and then we added googly eyes and other embellishments to give our monsters some personality. We loved using the foam triangles for teeth. Once we made the paper plate monsters we practiced making monster faces while we waited for the glue to dry! This craft only took a few minutes but we had so much fun doing it together! I made one along side my son and we had a great time chatting while we did some crafting! If you missed any of the other monster crafts and activities shared during Monster Week, just click on the links below!